Find your food Zen here! Open daily from 11 a.m. to 11 p.m.
(SPOT.ph) There are three kinds of foodies, really. There are those who want to make every flavor combination ever until the universe implodes. (Side note: we've been told that potatoes and oranges officially do not work.) The others are the type to refuse champagne unless it's actually made in the French region after which it's named. The rest of us—well, the rest of us just like good food. But that's not to say that's a dismissive attitude. A sense of adventure and a love of tradition never really go amiss in healthy doses, after all. Through the relatively low-key bustle of Banawe Street, at the far end of the maze of fast food and busy people shuffling along, there's a bit of traditional Japan that decided to pack its bags and see a little more of the world. Lucky for us, Manila was chosen! 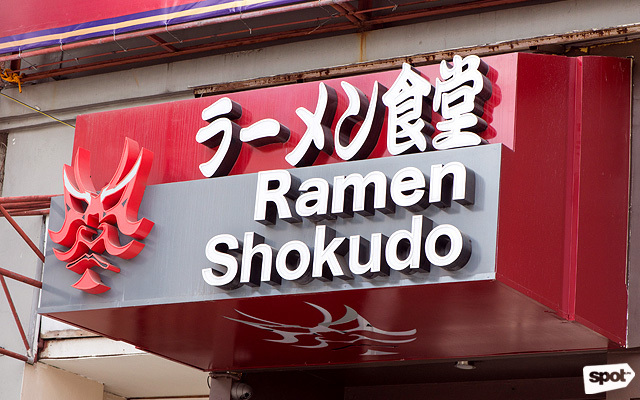 Ramen Shokudo both fits and reimagines the cliché "small but deadly" in that there's not a lot of room to sit, so the lunch rush is a bit overwhelming to even witness. But owner Chris Chua says, "Oh, no. You think this is bad?! You should see this place at dinner." 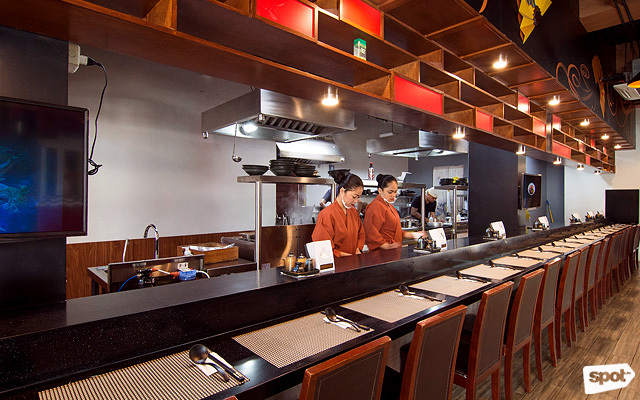 "We thought that there was definitely room in Manila for something more traditional," says chef Wataru Hosokawa. It looks like they were right! 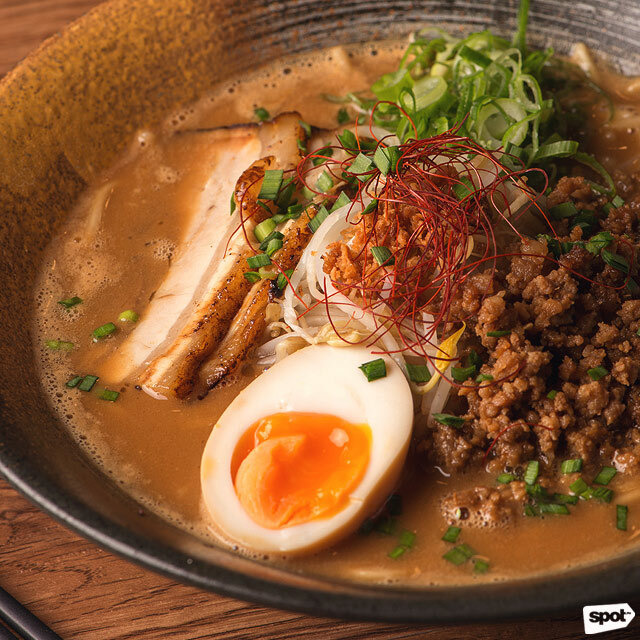 "Ramen is [head chef Atsumu Shimada's] favorite, while I actually don't like it so much," he admits with a laugh, "But it's something that people love, so I can work with that. 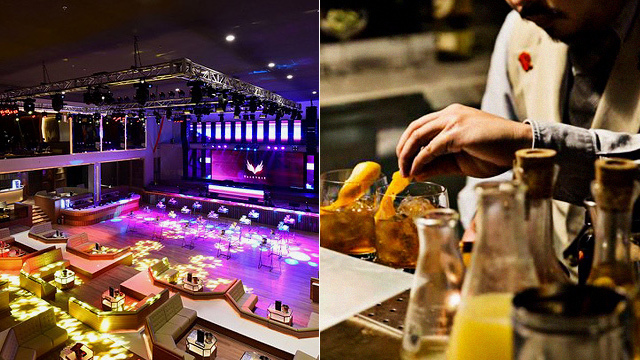 We just wanted people in Manila to taste the real stuff." 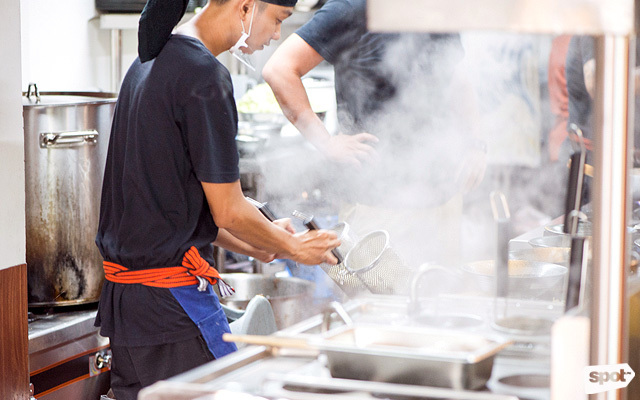 They all insist on making as many of the elements of their dishes in-house, and the extent they've gone to is pretty impressive. Pointing to our first dish, a Lenten special called Moringa Hiyashi Chuka (P320), Chris remarks, "This is the kind of dish [the Japanese] break out when the weather is warmer. These noodles are made with malunggay—just in case those are one of the things you're giving up!" 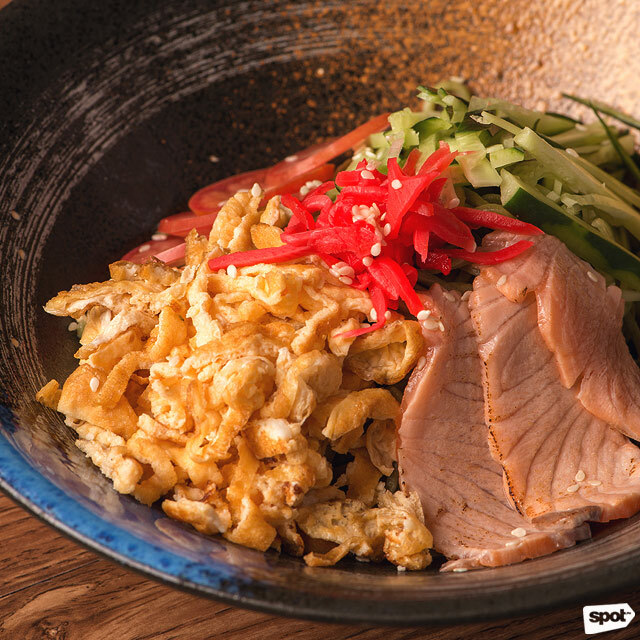 Topped with salmon, egg, and vividly hued veggies, it's a filling, yet refreshing, off-beat bowl of soba that certainly won't feel like you're deprived of anything. 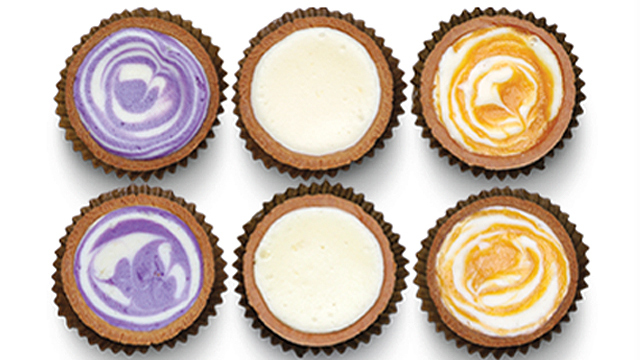 We'll be sad to see it go after Lent, but they promise new seasonal items for every special occasion. Keep an eye out! 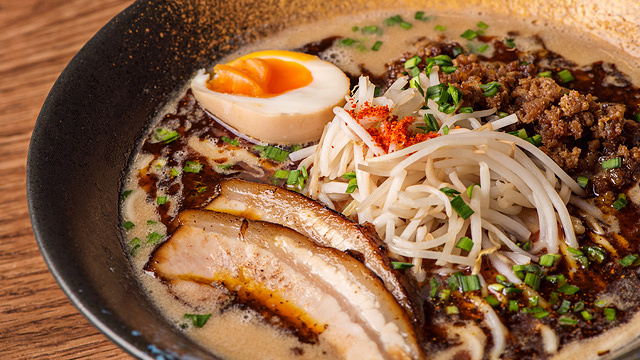 There's no way we'd have forgiven ourselves if we'd missed out on the Toriton Shoyu (P360). Striking the balance between rich and light almost perfectly, this mix of pork and chicken broth is simmered for hours on end before meeting its soulmate, a savory but subtle soy sauce base. 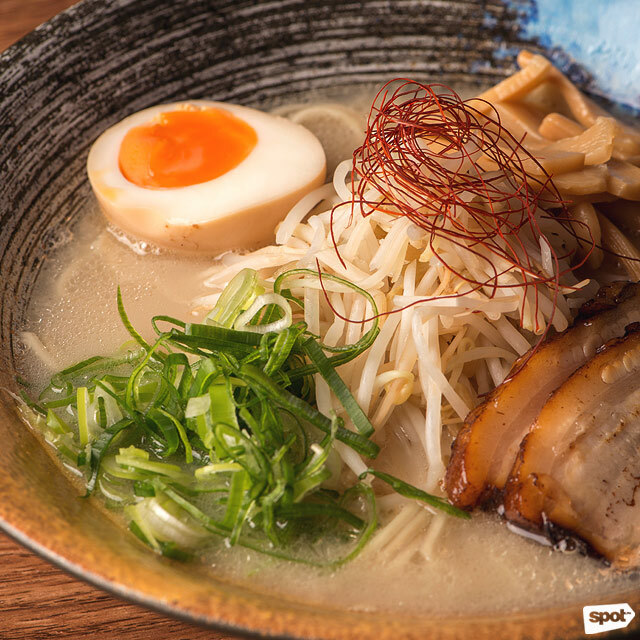 Topped off with satisfyingly dense noodles and tender slices of pork, there's no beating this classic. There are two directions you can take from this point; you can go lighter, or dive into the menu head-first. The Toriton Shio (P360) is their answer to the former, and it's a really good answer, as long as you're not expecting that same oomph you get from a soy base. Think of it this way: If ramen broths were instruments, the shoyu is a cello and the Shio is a violin. Both beautiful, but for different moods, if you will. Staying on that slightly strange train of thought, the Toriton Tantanmen (P380) might not even be an instrument—it's really more of a choir. A heavenly, spicy choir. It's almost richer than the shoyu in its heat; the kind of heat that sneaks up on you but doesn't make you regret your whole life by setting your mouth on fire. You'd do well to exercise caution, but it could (read: will) pay back dividends to take the risk! 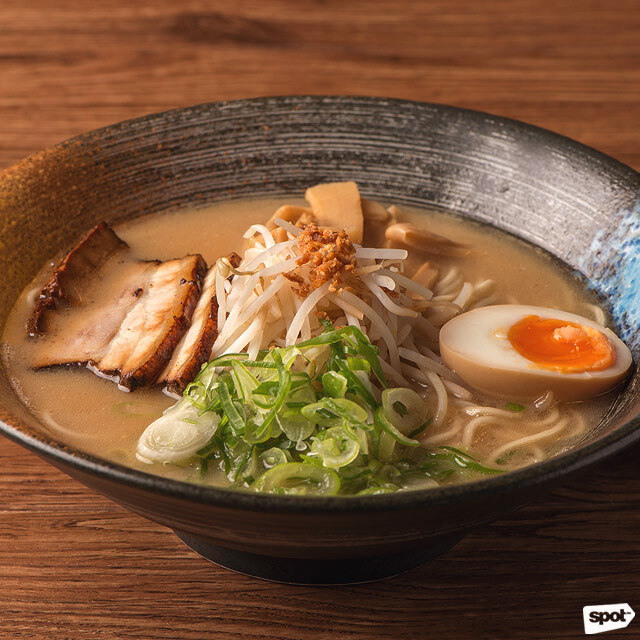 For that same richness without the heat, the Toriton Miso (P380) is exactly what it says on the tin. Okay, so it's not quite the choir; it's more like a trombone played really, really well. In other words, it's not something you'd think you'd go looking for, but you're glad you stumbled into that jazz bar. 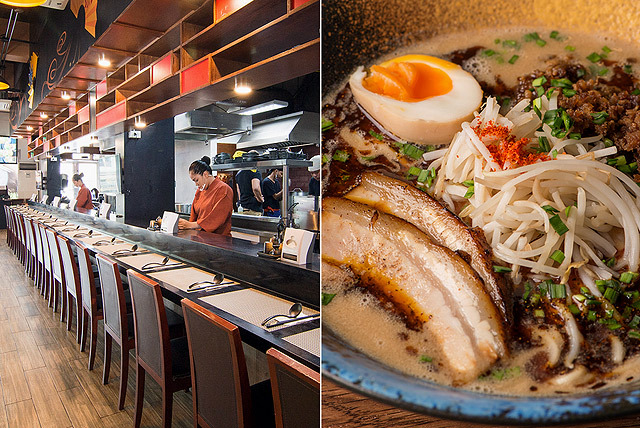 Except we're not talking about jazz bars, we're talking about excellent ramen. But you get the point. Don't think for one second that ramen's all they've got, though. 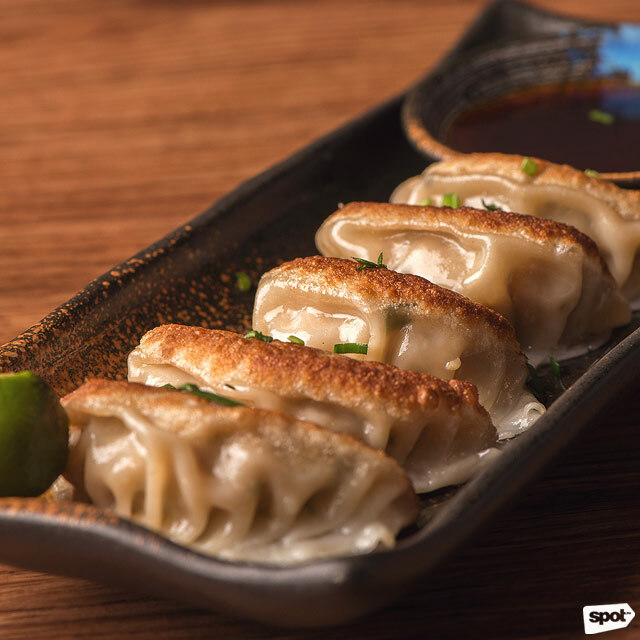 The Gyoza (P149) might just be the softest things ever, with a savoriness that doesn't overpower. 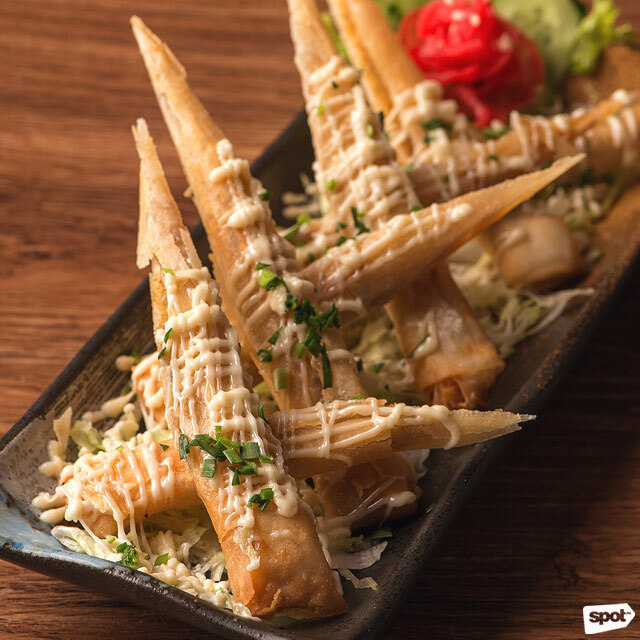 It's a perfect counter to the crunchy Curry Cheese Rolls (P149), which is this close to becoming your next favorite Annoyingly Specific Craving. And finally, the point of contention. Chef Wataru recalls with a laugh, "Originally, we weren't going to serve rice," to which Chris says, "But then we remembered we were going to set up shop in the Philippines!" 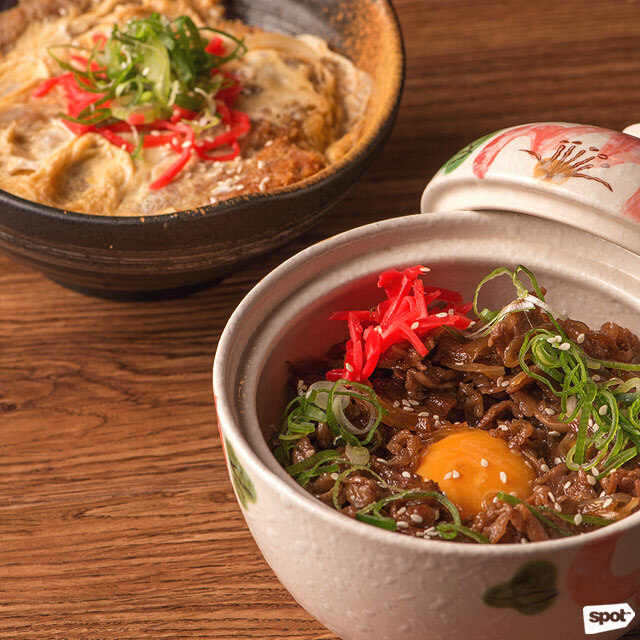 So we can say that, with you in mind, the Gyudon (P299) and the Katsudon (P299) are both pretty much everything you're looking for in a rice bowl. We don't know how they do it, but the meats are tender, the rice has just enough resistance, and that tart pickled ginger is one for the books! 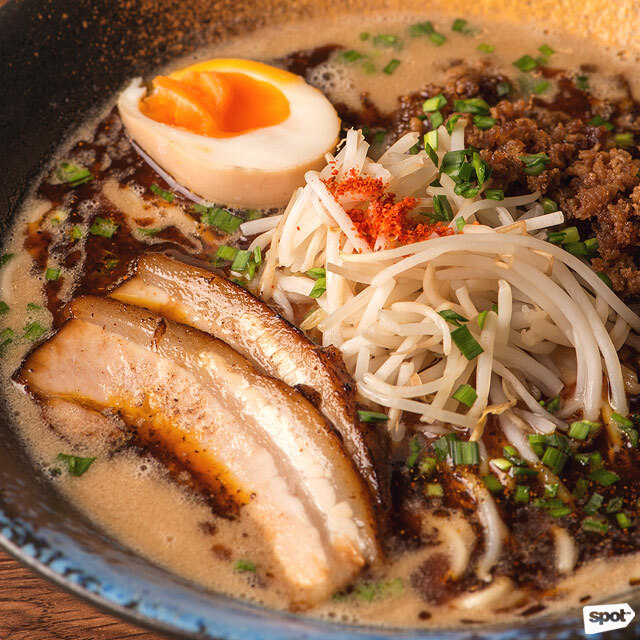 So if you want that happy medium of tradition and adventure, a more easy-going taste of Japan, or just really good ramen, this is where you've got to set your Waze to next.